AHIP REIT purchases large hotel portfolio in U.S.
American Hotel Income Properties (AHIP) REIT has closed on the acquisition of 18 premium-branded Marriott and Hilton hotel properties in the Eastern United States for approximately US$407.4 million. 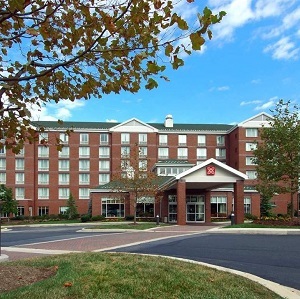 The Eastern Seaboard Portfolio consists of 10 Marriott-branded hotels (five Residence Inns, two Springhill Suites, one Courtyard, one Fairfield Inn and Suites, and one TownePlace Suites) totalling 1,206 guestrooms and eight Hilton-branded hotels (four Homewood Suites, two Hampton Inns and two Hilton Garden Inns) totalling 981 guestrooms. They’re located in Maryland, New Jersey, New York, Connecticut and Pennsylvania. The hotels will be managed by AHIP’s exclusive hotel manager, ONE Lodging Management, a wholly owned subsidiary of O’Neill Hotels and Resorts Ltd. The transaction will increase AHIP’s total guestroom count by more than 23 per cent and add more geographic diversity. The average age of the hotels is 10 years and each has been recently built or renovated. The occupancy of the portfolio is close to 85 per cent. Vancouver-based AHIP invests in hotel properties primarily based in larger secondary markets in the U.S. The foundation of the REIT was based in the railway employee accommodation, transportation and contract-focused lodging sectors. More recently, however, it has focused on premium-branded, select-service hotels with stabilized in-place income, that are younger and well-maintained, and with acquisition costs below replacement cost. With the acquisition of the Eastern Seaboard Portfolio, AHIP owns 113 hotels in 33 states. This includes 67 premium-branded, select-service hotels with 7,684 guestrooms and 46 select-service rail hotels with 3,886 guestrooms secured by railway contractual revenue guarantees. O’Neill said business in rail hotels has declined over the past three or four years, primarily because of a 40 per cent reduction in coal traffic and an eight to 10 per cent reduction in overall freight rail traffic. Things seem to have taken a turn for the better over the past five months, however. The rail hotels provide guaranteed, long-term contracted steady revenue, which is valuable to AHIP and its unitholders. AHIP expects to fund the purchase of the Eastern Seaboard Portfolio through: a combination of a portion of the net proceeds from a recently completed public offering of $200.9 million and US$48.9 million of convertible debentures; and an approximately US$236.2 million commercial mortgage-backed securities loan packaged into four pools. “We had to raise the equity in Canada and the debt’s being raised in the United States,” said O’Neill, who noted that AHIP pays its distributions in American dollars, which is attractive to retail investors. In addition to partially funding the Eastern Seaboard Portfolio, the newly raised money will also fund working capital and potential future acquisitions and be used for general corporate purposes. “That will leave us with approximately $25 million in equity for future projects or acquisitions, and we’ll turn our attention to that once we’ve closed this current transaction, which we’re working hard on doing,” said O’Neill. AHIP acquired five Embassy Suites by Hilton hotels with 1,311 guestrooms in Texas, Arizona and Ohio for $181.6 million in the first quarter of this year. It sold a 77-room Country Inn & Suites by Carlson hotel in Norman, Okla. for gross proceeds of $4.5 million. AHIP’s funds from operations rose by 61 per cent to $11.6 million while total revenues increased by 53.8 per cent to $61.7 million in the first quarter of this year. Net income for the quarter rose to $2.4 million, compared to a loss of $1.5 million in the prior year. AHIP will spend approximately $15 million over the next 12 months on improving its hotels, including a modernization of its Hampton Inns to the latest generation. Editor’s Note: This story was updated on June 23, 2017 to reflect that the deal has closed.